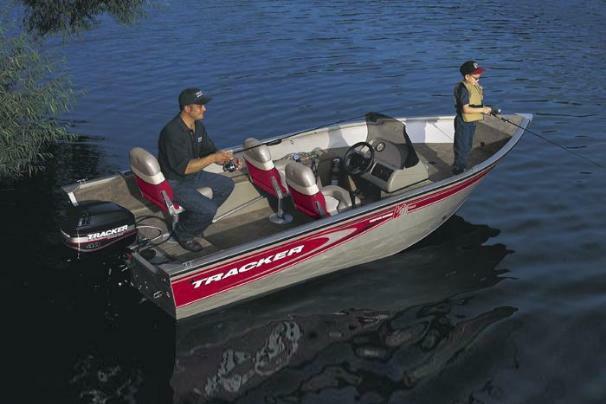 Boat Description Our 16-foot side console Super Guide V-16 SC DLX comes standard with seating for three, a highly flexible fishing layout and a divided livewell/baitwell setup. It offers the convenience and comfort of steering from a console with windscreen, gauges and control switches at hand. The Deep V hull offers a wide, stable fishing platform with roomy bow and aft casting decks with seat bases. Theres surprising storage below deck, plus lockable rod and gear storage on the sides. Package includes Mercury Pro Series outboard, pre-wiring for a trolling motor, 23-gallon divided aerated livewell with timer and baitwell insert plus custom trailer with EZ lube hubs and GalvaShield protection.